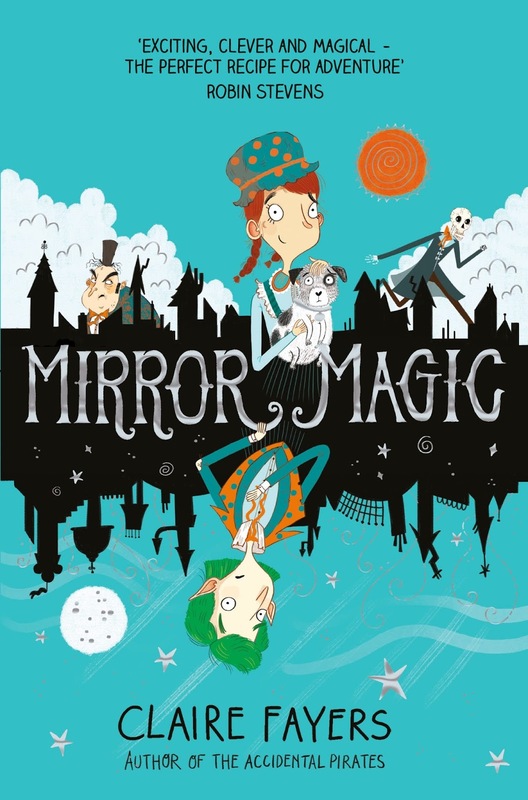 This afternoon I will be in Cardiff, celebrating the launch of Mirror Magic, also know as The Book That Nearly Killed Me. My first two books were fantasy adventures and they were easy to write. (If the plot starts to flag, just throw in another giant octopus.) But after my second book, my publisher wanted something new, and my agent mentioned she’d love to read a middle-grade take on Jonathan Strange and Mr Norrell. I, with more optimism than sense, declared that I was just the author to write it. All went well for a while. I set about researching the Victorian period with gusto – mainly by watching costume dramas and reading gothic novels, but this was going to be a very alternative history. I sent in my first draft and sat back, reasonably satisfied. Then I got a call from my editor. I hadn’t even considered it – or even considered that I ought to consider it. Weren’t they both the same thing? “Does it make any difference?” I asked. Yes, actually, it turned out, it made a huge difference. Because, while adventures can swing blithely from one crisis to the next, a mystery is an altogether different kettle of fiction. The plot must twist and turn, you must have clues, moments of danger, clues, a formidable villain, clues, red herrings and wrong avenues, clues… Did I mention clues? That didn’t sound too hard. I made a spreadsheet. By chapter thirteen, for example, I decided my characters needed to have learned x,y, and z.
I thought of all the times I’d gloated over working out a whodunnit, and I didn’t feel so clever any more. I cut the kindly vicar and planted clues the size of giant octopuses all over the first twelve chapters. Of course they didn’t, because I’d spent all my time planting clues in the first twelve chapters. I wondered if I could use my new-found knowledge of crime to murder my editor. Given the clumsiness of my plotting, though, I'd probably be found out immediately. I sat down to rewrite yet again. I think we did four drafts altogether. Maybe five – or five and a half. The whole experience was like learning to play a new instrument. Thinking that because I could play the cello, the flute would be easy. Some adventure elements crept into the mystery, of course. Giant octopuses were out, but ghastly skeletons from the Unworld were a pretty good substitute. And, because I have to have at least one sarcastic character in every book (if it’s not written into my contract, it should be) I invented The Book – a magical tome with an erratic ability to see the future and a huge attitude problem. I finished my last draft with a whole new appreciation of different genres and the difficulties that must be inherent in each one. And also a huge respect for my editor’s patience and persistence, her refusal to let me get away with sloppy plotting or clumsy clues. Mirror Magic and I had a difficult relationship but I’m rather proud of my wayward offspring. I think if we met in the street we’d tip our hats, nod and smile knowingly, acknowledging that the journey was worth it in the end. That’s the joy and challenge of writing. You’re always learning, always pushing yourself, always trying new things. My fourth book is well underway and it’s a bit of an oddity. After that, who knows? Romance? Thriller? A ghost story? Or maybe I’ll really push my limits and try a different age group. But today I’m raising my glass to Mirror Magic – the book that made me write better. 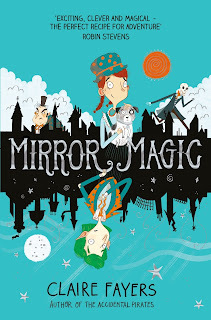 Great post, Claire and congratulations on getting there with Mirror Magic! Your book, and the work (and advice) that went into it, sounds fascinating, Claire! I hope it does well. Loved reading this, Claire - a very honest post. It's so reassuring to know it takes other authors many edits to get there too. I hope the launch went well and I'm looking forward to reading Mirror Magic soon! Brilliant (and highly amusing) post Claire. Well done on getting to publication day!